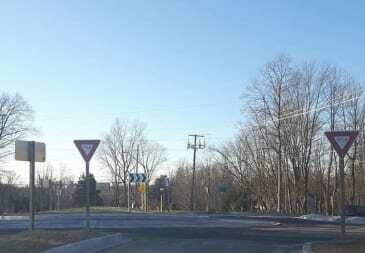 Construction will begin next month on the new Harford Road Roundabout in Glen Arm/Kingsville, according to Councilman David Marks’ office. 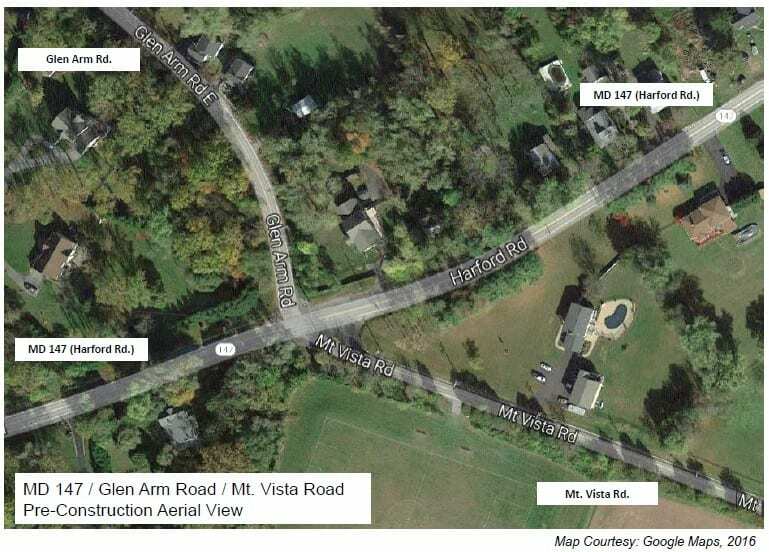 Beginning Wednesday, October 5, the Maryland Department of Transportation’s State Highway Administration (SHA) will begin a $3.7 million project to construct a roundabout at the Harford Road (MD 147) intersection with Glen Arm Road and Mt. Vista Road in Glen Arm. The new roundabout should be complete late summer 2017, weather permitting. 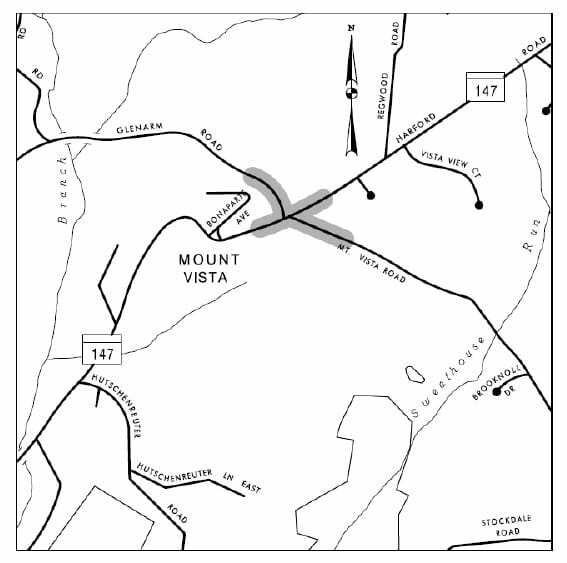 The project will be constructed in three phases; each phase will require a detour of either the Mt. Vista Road or Glen Arm Road legs of the intersection. 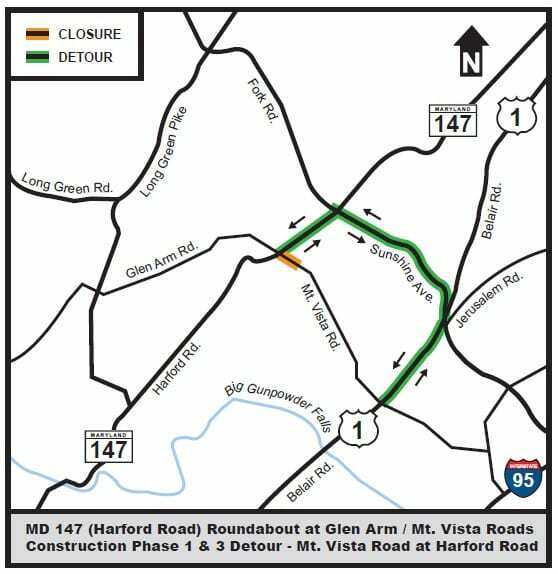 Northbound and southbound Harford Road will remain open to traffic during construction. On October 5, weather permitting, SHA will close the Mt. Vista Road leg of the intersection to begin the first of three phases of the roundabout construction. SHA’s contractor, Kinsley Construction, Inc. of Timonium, will use portable digital message signs in the vicinity of the intersection to advise motorists of the upcoming closure of Mt. Vista Road at Harford Road. Approximately 6,000 vehicles use this section of Harford Road each day. 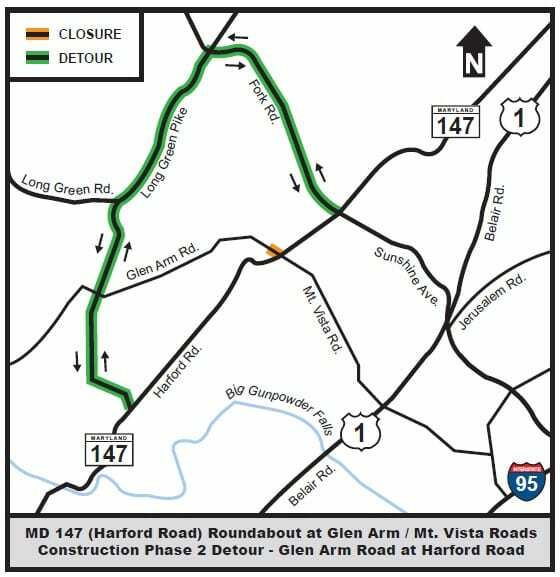 Commuters and commercial vehicle drivers should plan for extra travel time on Harford Road and the detour routes during the next year. 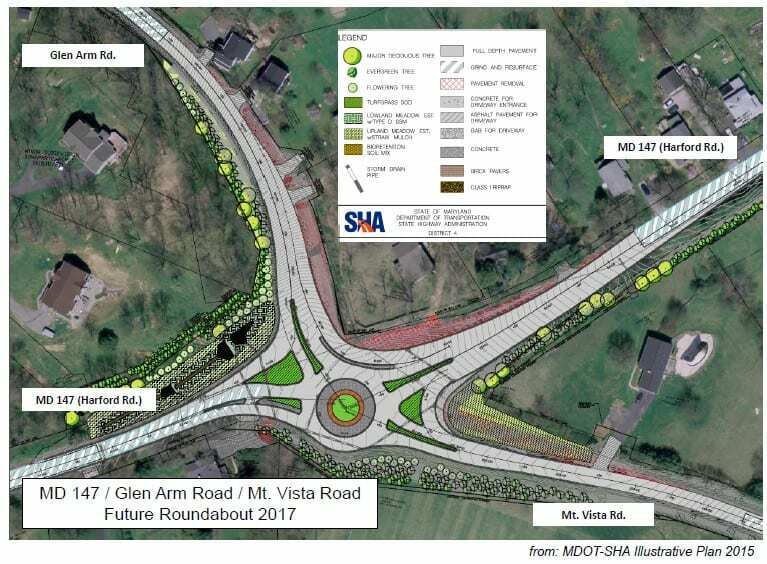 Citizens with questions about the roundabout construction project may call SHA’s District Four Office – Construction Division at 410-229-2300 or toll-free at 1-866-998-0367.